We are one of the most reliable companies in this domain and are into offering Automatic Liquid Filling Machine. We are offer filling machine ideal for packing of filling product at any kind of liquid. Easy to operate energy efficient and cost effective the filling machine offered by us available in different models to diverse application liquid piston filling is best suited for medicines. Pesticides, chemicals, oil and etc. Available in PLC controlled systems. All type of free flow products. Fill from 10ml to 50mI. 50mI to 300m1. 100ml to 1 liter above. resistant and jacketed hopper for hot filling. Foaming and Spillage controlling in Diving nozzle mechanism. Available as a semi and automatic 1 to6 Head. 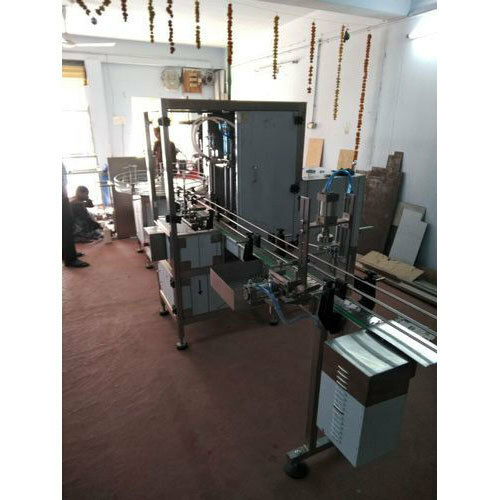 Since 2010, our organization “Speedpack Packaging Machines Private Limited” is enthusiastically instrumental in the occupation of manufacturing of premium quality assortment of Filling Machine, Pickle Filling Machine, Viscous Filling Machines and many more. Our company is headquartered at Hyderabad, Telangana from where we managing our work-related activities by the constant support of our adroit team of professionals. Furthermore, owing to the peerless diligence of ardent professionals, vast and technically sound infrastructure base, we have been able to please such a huge patron base. Also, we are experts in providing Filling Machine Service.